After working and training for most of my life in New York, I left to play ball in college. I attended college as a scholarship athlete in baseball and played 2 years in the Cape Cod Collegiate Summer League in Chatham. I naturally found that training my body and implementing the proper nutrition to go with it allowed me to perform at a very high level in baseball, in training and in life. I love to help people learn how to train and give them what they need to do become ‘Gotham Strong’. 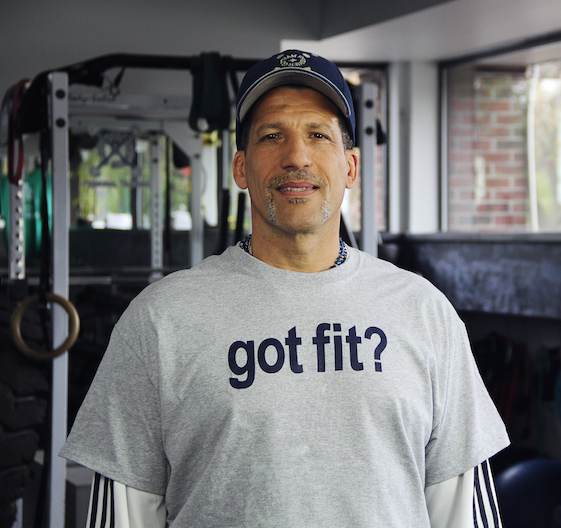 I moved here from New York in 2004, worked at the Oakland Athletic Club in Birmingham and then built and started my own training facility here in Bloomfield Hills called Gotham Premier Training. I’m educated by the International Sports & Sciences Association (ISSA) and have extensive knowledge in Sports Conditioning, Exercise Therapy, Fitness Therapy, Performance Nutrition & Rehab Training. I dedicated my last 20 years to helping people of all ages, get healthy, move well and become the strongest version of themselves. I truly love teaching people how to do what I have done most of my life; to get fit and stay healthy and strong! Certifications: Exercise Therapy Specialist, Certification as a Fitness Trainer (CFTI) and Sports Conditioning Specialist (SCSII) by the International Sports and Sciences Association (ISSA). First Aid and CPR certification through the American Red Cross & American Heart Association. CPR Instructor. Training Specialties: Rehabilitation, Sport Specific Training, Stamina, Cardio Training, Strength Conditioning & Stretch.